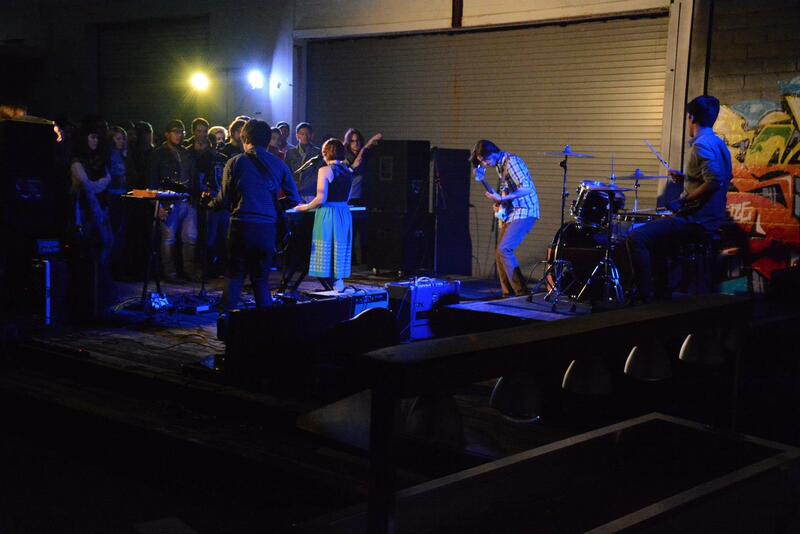 Octahedron is an indie pop group from San Antonio, TX. The band is made up of lead vocalist and keyboardist Elena Lopez, bassist Ruben Lopez, vocalist and guitarist Austin Jimison, and drummer Daniel Puente. 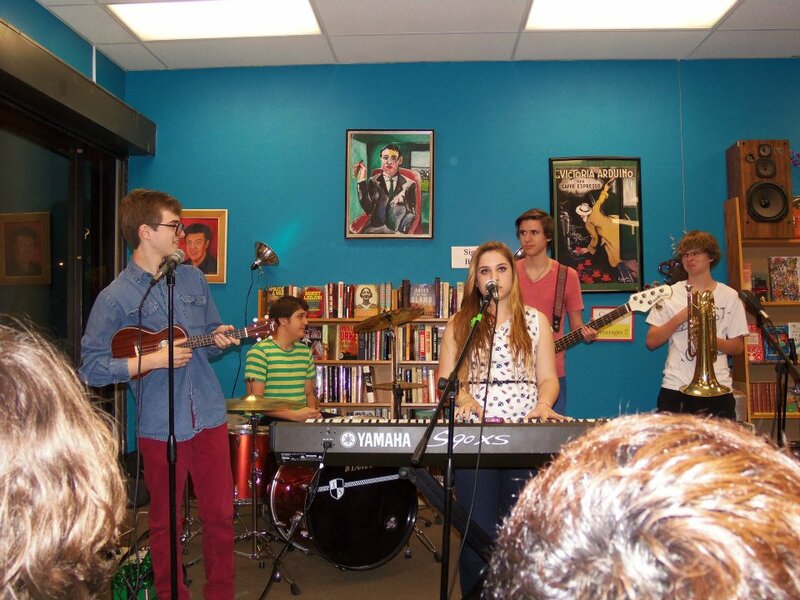 The band also incorporates other instruments, such as ukulele and synths, usually played by Elena and Austin. Octahedron formed in July 2013. Elena Lopez and her brother Ruben Lopez had been members of Invision Love, another San Antonio band. Elena had a clear vision for the kind of music she wanted to create and after discussion with Invision Love leader Seth Shaw, she made the decision to begin her own project. Ruben briefly considered staying with Invision Love, but ultimately decided to continue playing with Elena. At one of their previous band’s final shows together they met drummer Daniel Puente, who was filling in. Daniel had previously been associated with another local band, Jacob and the Inhumanes. Elena knew immediately that she wanted to have Daniel as the drummer for her new project and extended an invitation to him to join them. For their first show they included Paul Cadena on guitar and Danielle Saathoff on violin. After a series of rehearsals and writing sessions, the band landed on the name “Octahedron,” which was a reference to a lyric from a song that was written while Ruben and Elena were with their previous band. This lineup debuted in July 2013, but after a couple of events it became clear that Paul, who at that time was attached to another project, would not be able to continue and departed the band. 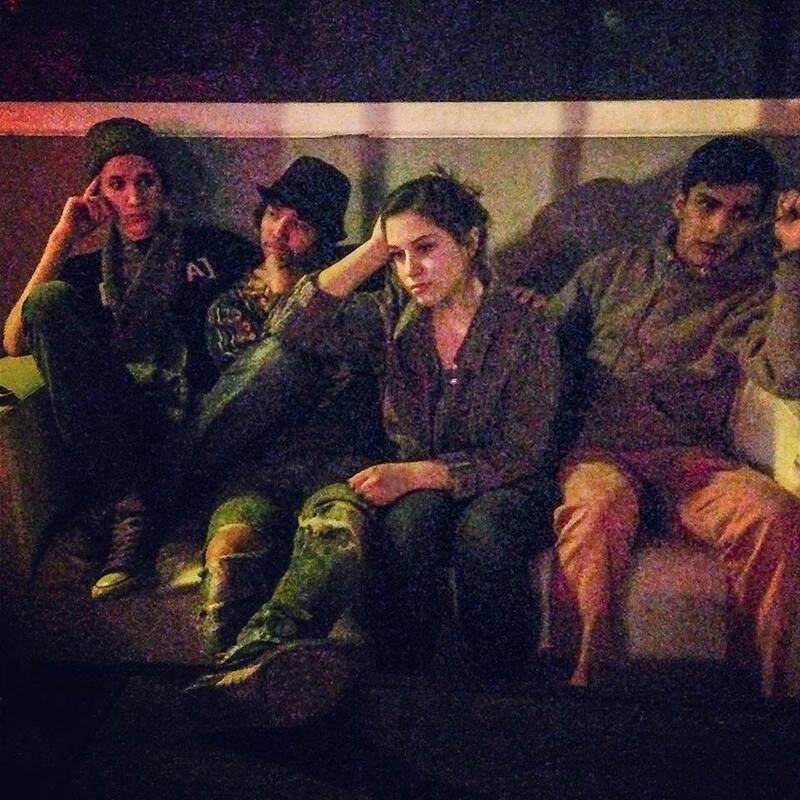 Elena posted a notice on Facebook that she was looking for a guitarist for her newly formed band. Austin Jimison, formerly of Room 635, responded that he was interested in joining the lineup. After some conversation it was clear that Austin would be a great fit for what Elena envisioned for Octahedron. 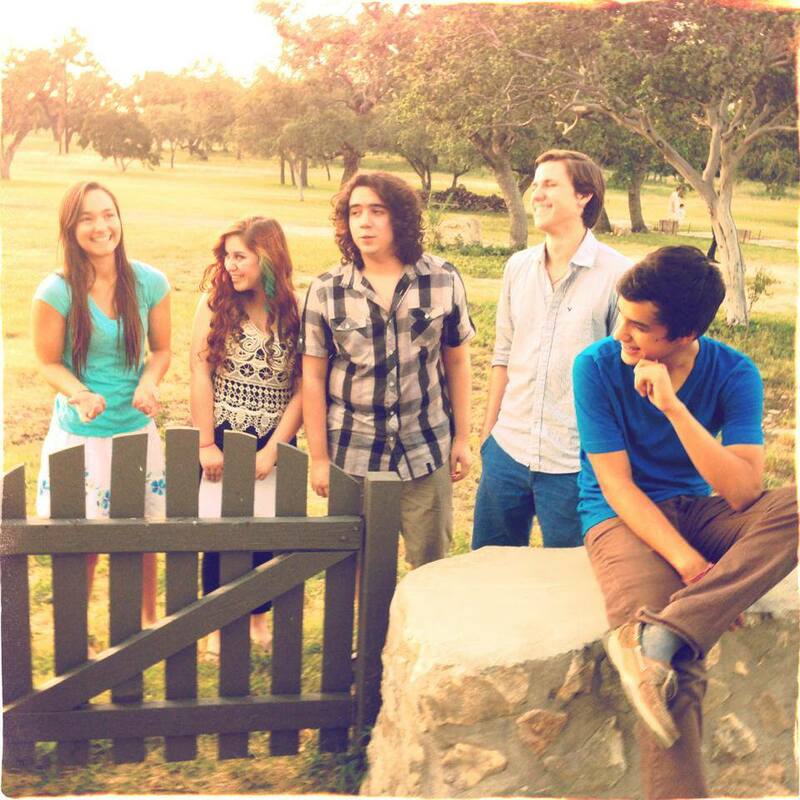 The five-person line up of Elena, Ruben, Austin, Danielle and Daniel played their first show at Harmony Sweet in New Braunfels, TX in July 2013, but this version of Octahedron would be short-lived. Danielle, the violinist, realized that she did not have the same passion toward pursuing a career in music and departed after only one performance. This resulted in the current lineup of Elena, Ruben, Austin, and Daniel. Since solidifying their lineup Octahedron has worked tirelessly, writing and performing. They have played an average of one show a week and are always developing new material. The band has opened for larger acts, such as the Rocketboys, as well as out of town bands such as Rare Monk of Portland and Los Angeles-based Cobalt Cranes. They have also been noted in local and national publications. 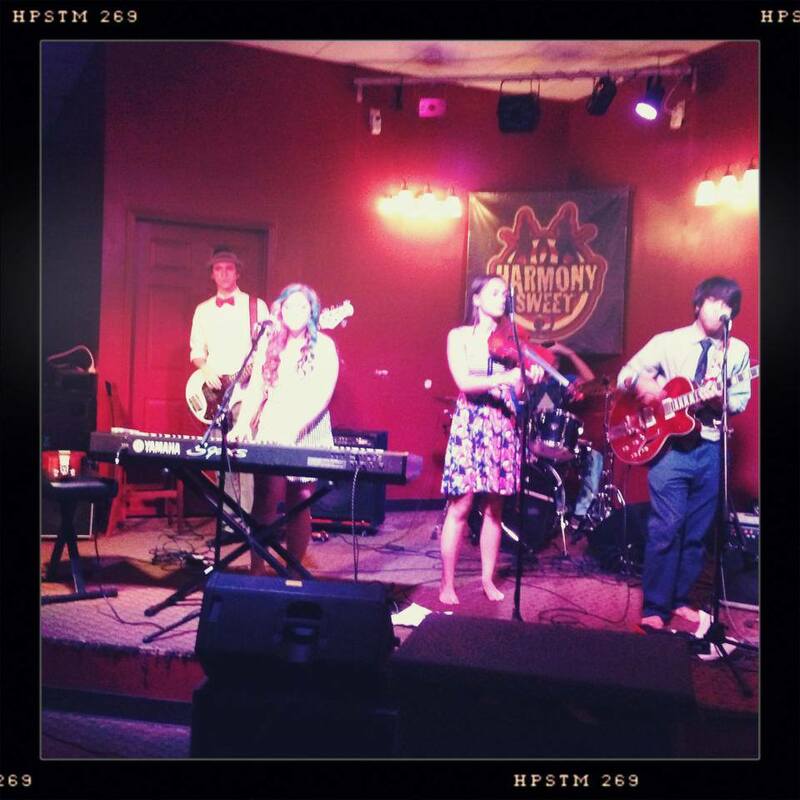 In 2014 they placed second in the Unsigned Artists Competition, sponsored by the Recording Conservatory of Austin, out of a field that began with over 400 bands from all around Texas. While still a young band, they are already garnering attention for their unique style, lyrical depth, and musical prowess. Elena, Ruben, Austin, and Daniel never fail to impress wherever they play and they look forward to working hard to make great music for years to come. Hi! My name is Lorah and I am the booking manager for FireWave Productions in Boerne, TX. We are a recording studio, record label, publisher, distributor and mixing house. I was listening to your music on ReverbNation and I think you are really talented. If you are looking to do a project or need a label to call home, we would love to have you. If your interested in meeting us and checking out what we’re about, please feel free to contact me. Thanks & keep on rockin. Where can I listen to songs? ….. pleez.